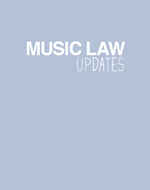 COPYRIGHT Recorded music Sony Music have recently signed a deal with Dubset to ‘legalise’ remixes of their songs. The project follows on from the Content ID agreement between YouTube and music publishers in 2012. ‘Sampling is just a longer term for theft … Anybody who can honesty say sampling is some sort of creativity has never done anything creative’. Those were the words of The Turtles’ Mark Volman during an interview with the L.A. Times during the 1991 lawsuit his group levelled against hip-hop group De La Soul for their ‘Transmitting Live From Mars’. As a result of the out-of-court settlement, the group’s iconic album 3 Feet High and Rising is still unavailable on major streaming services. At the turn of the millennium, the costs of sampling were so great that scholar Wayne Marshall declared that the costs had led to the ‘giving up’ its firstborn, with the heavily-sampled layers of Public Enemy replaced by the authenticity articulated by band The Roots. Yet, Moses is not yet in the bulrushes. As I pointed out in my recent article on Chance the Rapper, free mixes and mixtapes circulated in the grey area of SoundCloud’s free content have only gained in prominence…. “We Shall Overcome” – Free at last! HEALTH & SAFETY Live events sector “No doubt, this decision will be incomprehensible to Mr Johnson’s family, who can justifiably complain that justice has not been done”. Judge Ann Nelson The criminal case and trial against the organisers of Radiohead’s 2012 concert in Toronto where British drum technician Scott Johnson was killed and three others injured when a scaffolding structure collapsed at Downsview Park in June 16th 2012 has ended because of delays in the trial itself, primarily as the original judge hearing the case received a promotion. In July 2017 Justice Shaun Nakatsuru, said that his appointment to the Ontario Superior Court meant he no longer had jurisdiction over the case. Nakatsuru said he came to the decision with “great regret” saying “My appointment was unexpected and without notice. I know that the defendants have waited a long time for the final resolution of this case. So has the public” and “There are many compelling reasons why it would be in the best interests of justice for me to finish this. But I cannot.” The show was promoted by Live Nation, and LNE and its Ontario subsidiary were subsequently charged under the Canadian province’s Occupational Health And Safety Act….